In the spring I wrote a post on what I considered to be the 8 essential Asian sauces everyone should have in their fridge. It turns out some of these were debatable and very few people agreed with my list in full. There was one sauce on the list though, black bean sauce, that is one of my personal favorites and very under-used. Even though I burn through a jar of it every few months I’ve only made ONE recipe on Macheesmo that uses it. That’s simply unacceptable. So I figured I would show you all a quick way you can use this delicious sauce to make a great alternative to your standard pasta. 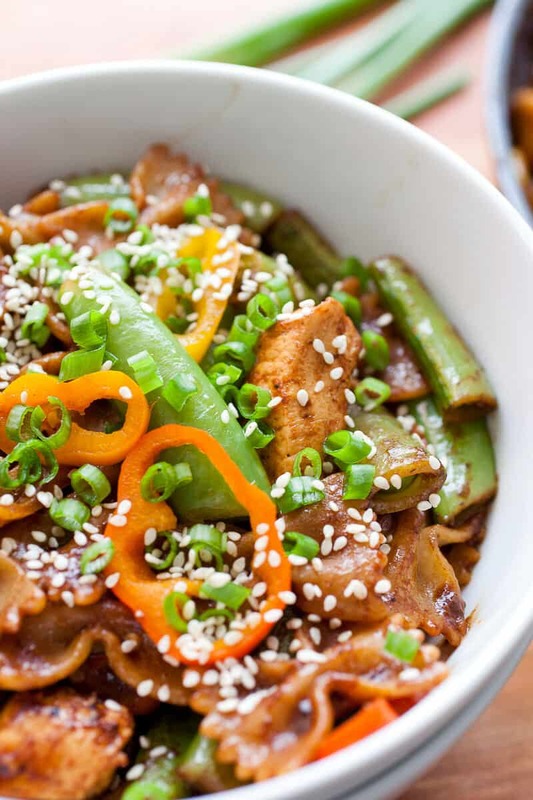 I used chicken and snap peas for this version but you could use a lot of season veggies and almost any protein you wanted. The key is that it’s fast to make and really savory and wonderful. Betsy proclaimed it as one of my best pasta recipes in a while which is high praise! 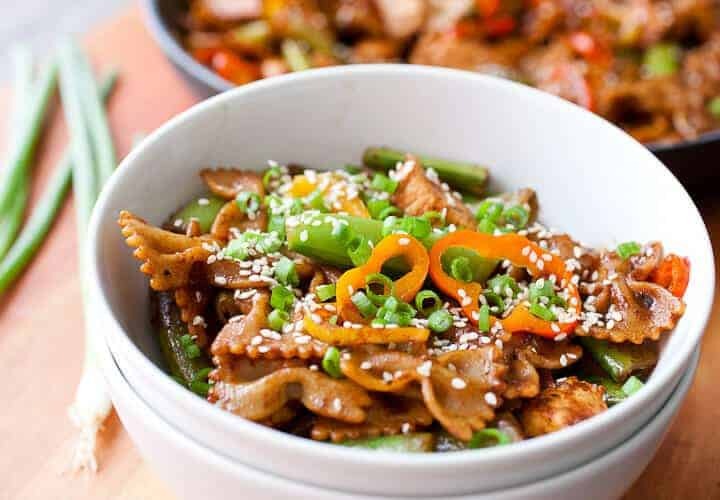 Chicken and Snap Pea Pasta Toss with a savory black bean garlic sauce. 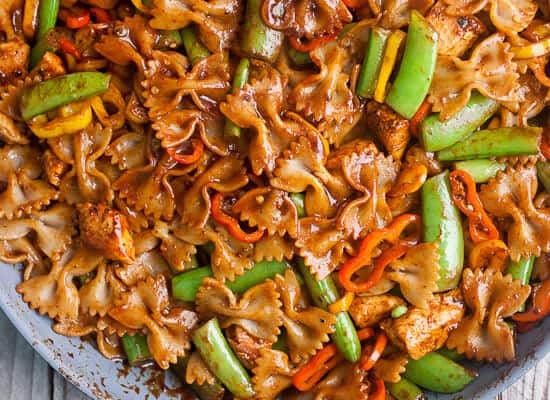 Bright, fresh veggies are the key to making this quick pasta dinner work! 1) Cook pasta according to package. Be careful not to overcook it or it will get really soggy later. If you aren’t finishing the dish right away, drain the pasta and toss it with a tablespoon of oil to prevent sticking. 2) Cube chicken into about 1/2-inch cubes. 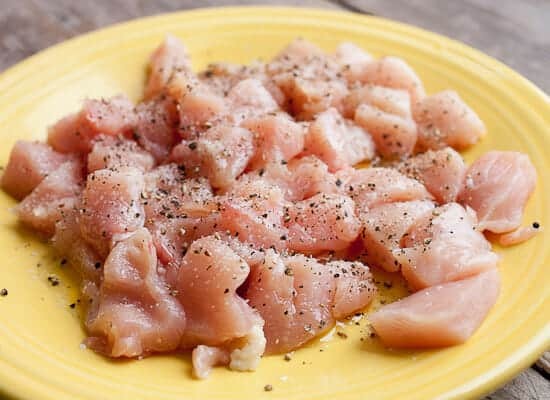 Season chicken with a big pinch of salt and pepper. 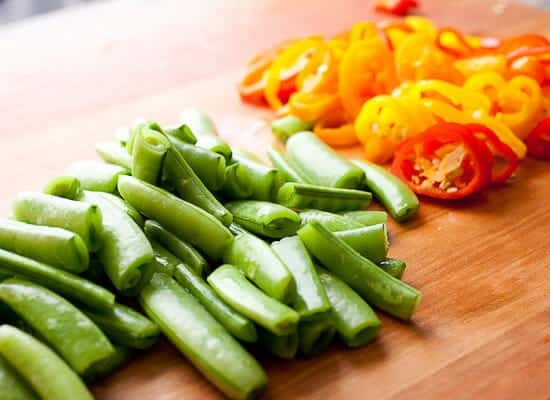 Chop the ends off the snap peas and slice sweet peppers thin. 3) To make sauce, whisk together ingredients in a small bowl until well combined. 4) In a large skillet, add 2 tablespoons olive oil over medium heat. Add chicken and cook until chicken is cooked through, 5-6 minutes. Then add in snap peas and sweet peppers and toss to combine. Cook for just a minute but you want the veggies to stay crispy. Work quickly from here on. 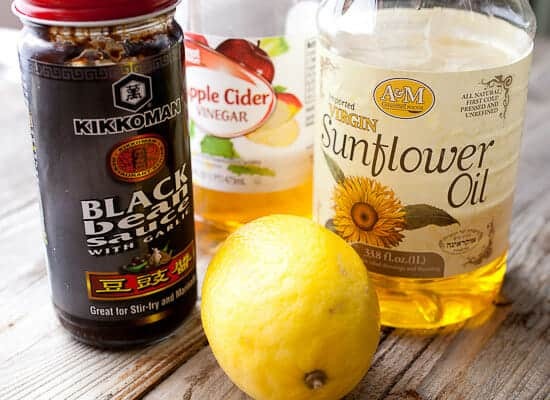 5) Add the sauce to the skillet and stir to coat the ingredients. Finally add cooked pasta and toss to combine. Serve pasta garnished with a small drizzle of sesame oil (opt. 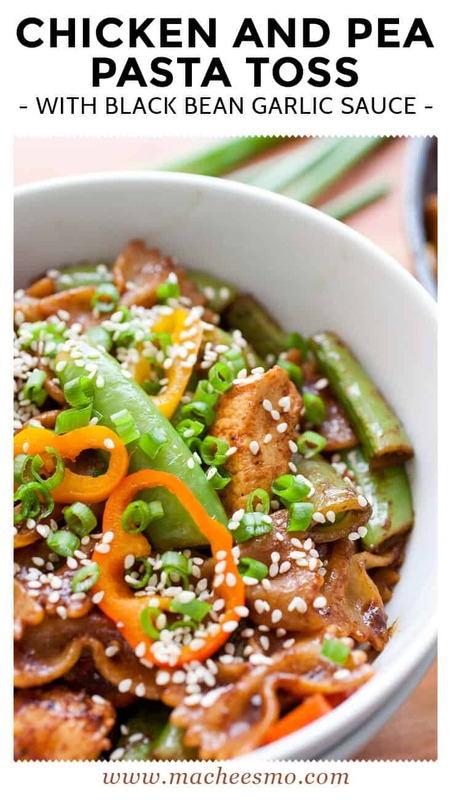 ), sesame seeds, and chopped scallions. The idea using black beans for a sauce might be a bit odd… and you’d be right except for two things. First, the beans are not Mexican black beans, they are black soybeans. Very different creature. Second, they are fermented so they have a completely different non-bean flavor. 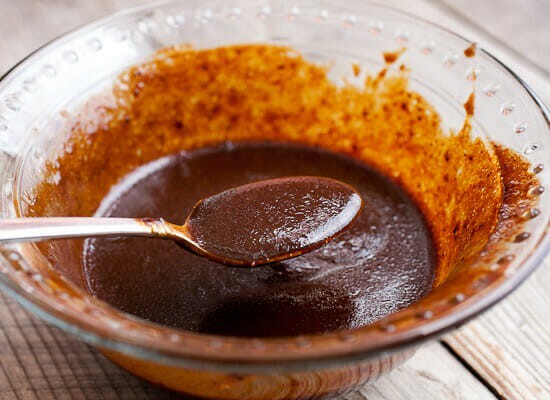 The final sauce is much closer to a thick soy sauce than to refried beans. The sauce is a bit intense for my personal tastes straight out of the jar so I like to brighten it up with some acid (lemon and apple cider vinegar). The finished sauce is still dark, but is packed with good stuff. The rest of this dish is all about simplicity. Don’t over-think it! I just cubed my chicken and tossed them with some salt and pepper. 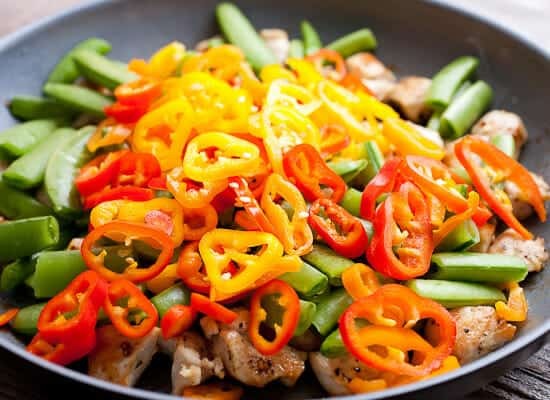 For the snap peas, cut off the ends and slice the sweet peppers thinly. Easy stuff! Add a little oil to a large skillet and cook the chicken over medium heat until it’s just cooked through. Add the snap peas and peppers once the chicken is completely cooked. You only want to cook the veggies for about a minute. They should still be a bit crunchy in the finished dish. 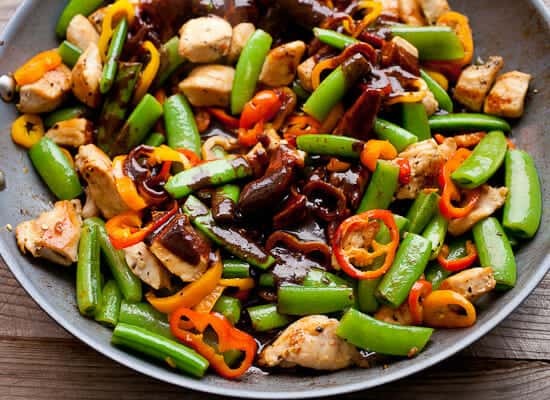 Once the veggies and chicken are tossed together, add that sauce! It’ll look dark and mysterious. All the better. Finally, toss in your cooked pasta. The key to this dish is not overcooking the pieces. If you overcook the pasta, it’ll get mushy. If you overcook the veggies, they will lose their crunch. Once everything is tossed together in the skillet, you’re ready to go! If the sauce looks too thick, you can add a little pasta water to thin it out. Mine was perfect though without it. This is a pasta toss that can use some toppings. I recommend a tiny drizzle of sesame oil (go very light – it can over-power), plus some sesame seeds and chopped scallions. Start to finish this is probably a 40 minute dinner if you are a slow-poke (no judgement!). It’s totally delicious though and a welcome change from a standard tomato sauce pasta situation. Get comfy with the black bean sauce, people. It’ll love you back. This sounds fantastic. Have you ever tried making your own black bean sauce? I ask not because I want to try it myself, but because I wish to live vicariously through your superior kitchen skills. Will City Market in Fruita have bean sauce? No luck at Fruita City market, now what to do. Company coming for a late lunch and I can’t get back to the store. Do I wait and ask my guests to stop in a larger Gj store or improvise? Hey Cindy, it’s a pretty big part of the recipe unfortunately. Of course, pasta with fresh veggies is never bad, but I would just toss them with good olive oil or something and save this sauce for after you can find the black bean sauce. Good luck!